Sound the bells, the shop is finally open! Aaaaand all orders placed through the weekend ship with a free gift! I recently finished making prints of one of my more favorite abstract watercolors; Fire Opal. I made this little gemstone-inspired work a few weeks back, but have been so busy with other projects, commissions and travel that I've only been able to stare at it longingly beside my easel, wondering how it would look as a print. Well I got my answer earlier today! A few meetings canceled, and a lunch break was postponed -- and whambam! 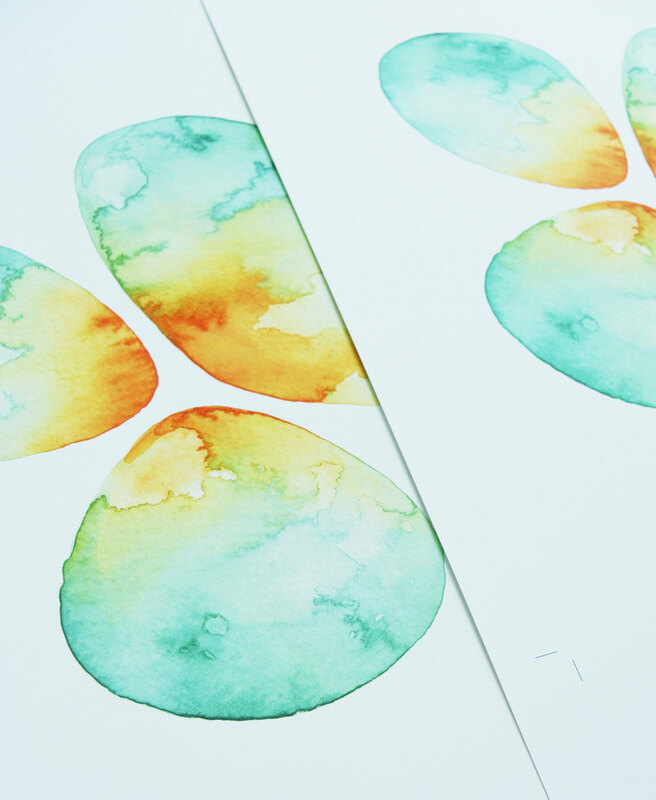 Fire Opal prints. Thus far I've only made a run of 11 x 14s, but the plan is offer 8.5 x 11s as well as 5 x 7s. Right here. This is why I paint. The juxtaposition of the cadmium yellow and turquoise makes me so giddy. Opals have always been a favorite. The iridescent sparks of color look like crystalized magic; ancient energies frozen in amber. Holding a few never fails to stir up some childhood fantasy of magical adventure and exploration. Which is why I decided to make this painting in the first place -- I can always use the extra nudge to remain mindful of the things that inspire me to create.